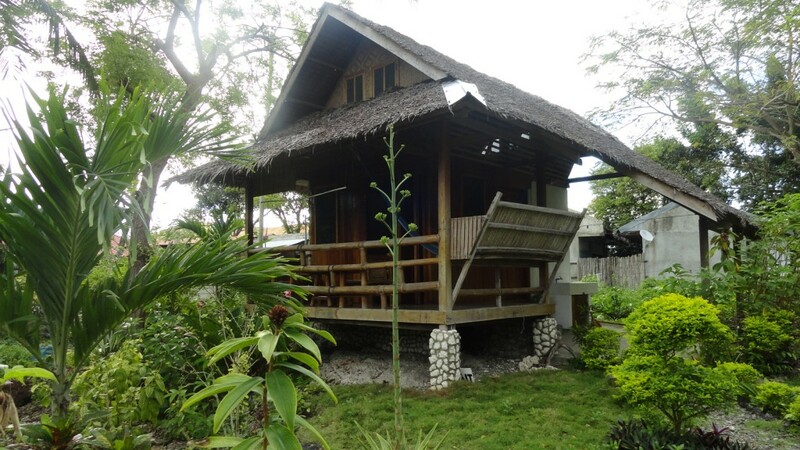 The accommodation in Mayas Native Garden consist of five individual cottages. All rooms have hot & cold shower, safety box (safe box), quality mattresses, electric fans and balcony with table and chairs. 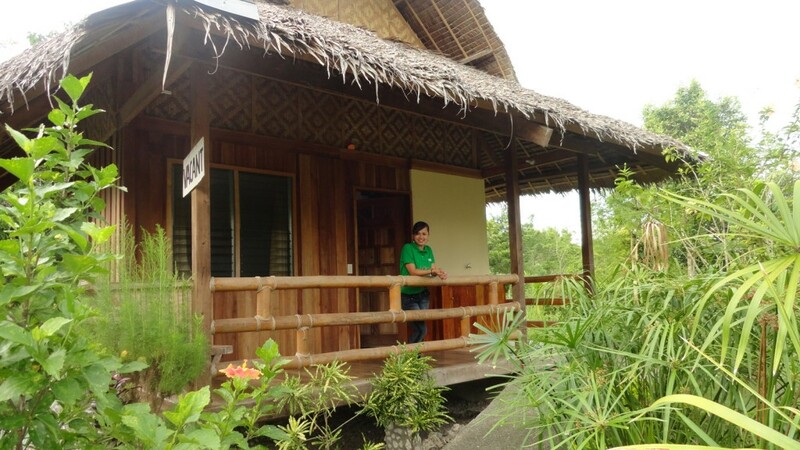 The cottages is spread around the spacious native lush garden, giving privacy to the individual accommodation. Panagsama beach and reef is merely 40 meters from Mayas Native Garden and offers great snorkeling and dive shops is close to our hotel. Dining is available from Mayas Native Garden resorts restaurant and bar, which serves, breakfast, lunch and dinner, with specialities like BBQ, Mexican, Filipino and have many vegetarian, seafood and international dishes on our menu. Most products is fresh from our local market in Moalboal. Panagsama Beach nightlife can be enjoyed with a choice of many restaurants and bars within walking distance. The price level on Panagsama Beach is fairly cheap and scuba diving and diving certification is available close to Mayas Native Garden in various dive shops. 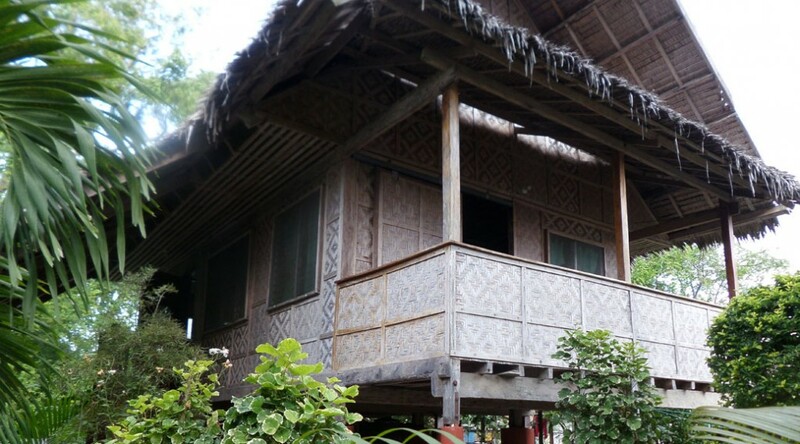 Mayas very affordable Fan cottage. The cottage have one room, a loft and a bathroom with western style toilet, hot & cold shower, electric fan, and safety box (safe box). The Air Conditioned cottage in Mayas have a split aircon which makes it silent. The room is accessible without steps and stairs and have one room, and a bathroom with western style toilet, hot & cold shower, electric fan, and a storage room for luggage and safety box (safe box). 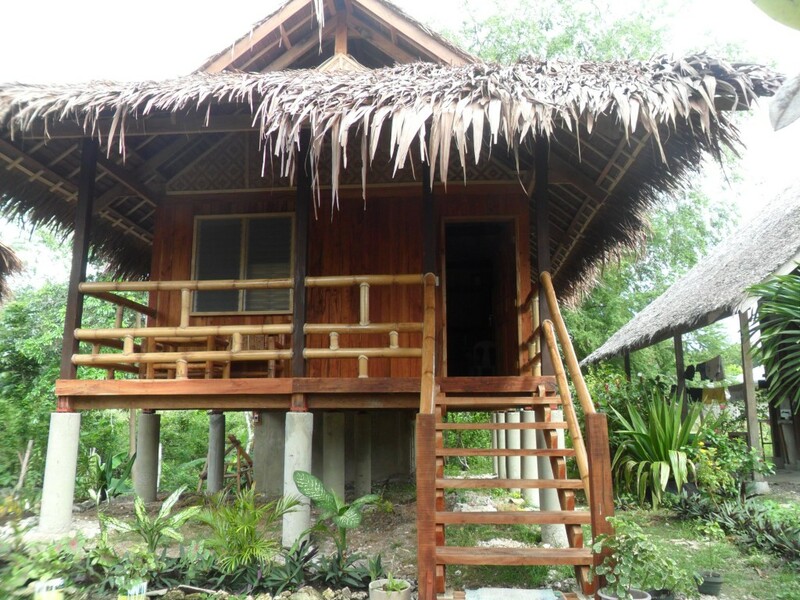 Our Eco Aircon cottages is build to give a natural air flow. This native cottage is built on stilts, thus elevated from the ground. It has a large room, with a Queen size bed and a single bed a closet and a safety box, table and chairs. The big bathroom has hot & cold shower and western style toilet. The room have a split aircon, which makes it silent and an extra electric fan. The Native House is built on stilts, thus elevated from the ground. It consist of a Master bedroom, with air condition. Sala with kitchenette, for boiling and small cooking. The large bathroom have hot & cold shower and western style toilet. It has a tv and refrigerator, table and chairs and ceiling fan. Upstairs have single beds and an electric fan.